Juchitán de las mujeres is the result of ten years of work, countless trips to the Isthmus of Tehuantepec, and a long familiarity with the inhabitants of the region. Graciela Iturbide took her time, and this deliberate slowness is a vital element of a poetics opposed to the quest for the “decisive moment.” None of the juchitecos in these photographs appears by chance: each one of them – Doña Guadalupe, like the others– has been carefully prepared. Born in 1942 in Mexico City, Mexico. Lives in Mexico City, Mexico. 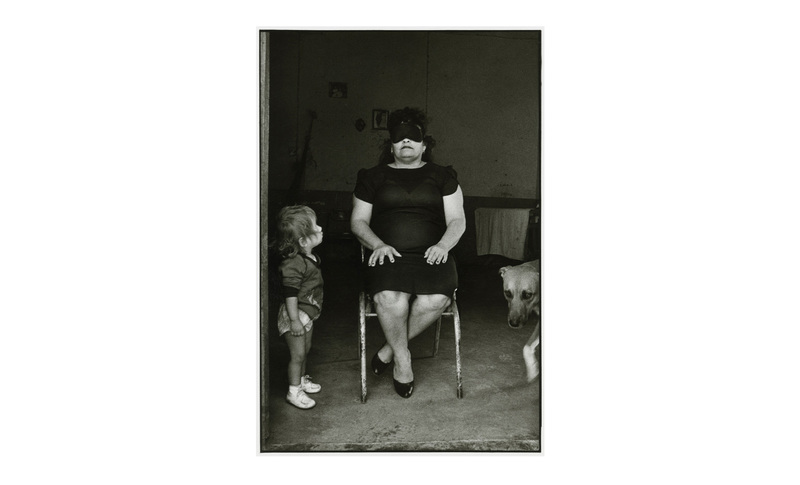 Graciela Iturbide is recognized as one of Mexico’s foremost living artists. She studied cinematography, with a focus on screenwriting, and then specialized in photography at the Centro Universitario de Estudios Cinematográficos of the Universidad Nacional Autónoma de México. There, her teacher was Manuel Álvarez Bravo, who would later invite her to work as his assistant. In 2008, she received the Hasselblad Award. Recent solo exhibitions include The Goat’s Dance at the J. Paul Getty Museum in Los Angeles (2008) and retrospectives of her work at the Fundación Mapfre (2009) and Tate Modern (2013).